Founded in 645 AD and dedicated to the Bodhisattva Kannon (the Goddess of Mercy), the Sensoji-ji Temple is the oldest temple in Tokyo and one of its most significant. According to legend, two fishermen found a statue of the Goddess in the Sumida river and their village chief recognised its sanctity and enshrined it by remodeling his house into a small temple in Asakusa for the villagers to worship it. 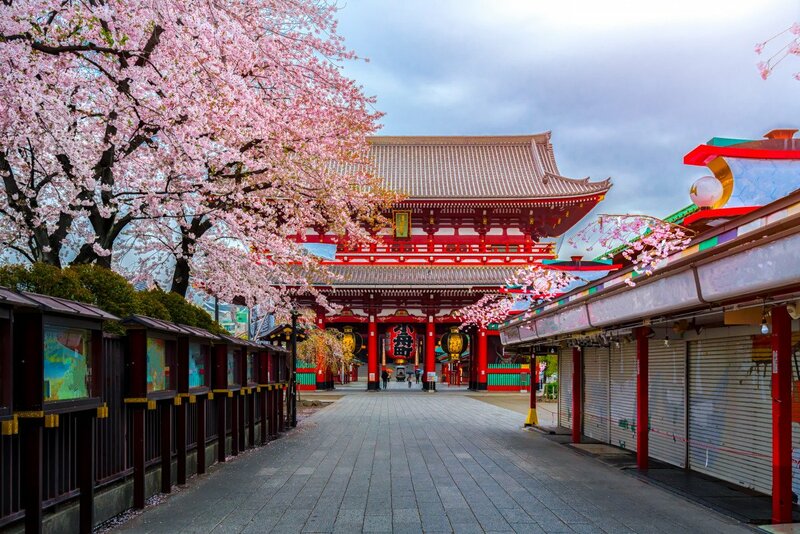 With many shrines adjacent to it, the temple is the most widely visited spiritual site in the world with over 30 million visitors annually.